Lähetä tarjouspyyntö haluamastasi matkasta antamalla tietosi alla. Applicant must be over 21 years old but for Tuohi master card over 18 years. Permanent employment is not required! 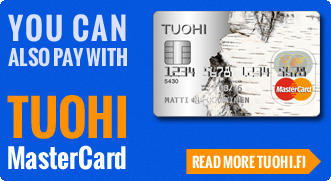 Tuohi card applicants have to have a permanant job. & and many other around the world!